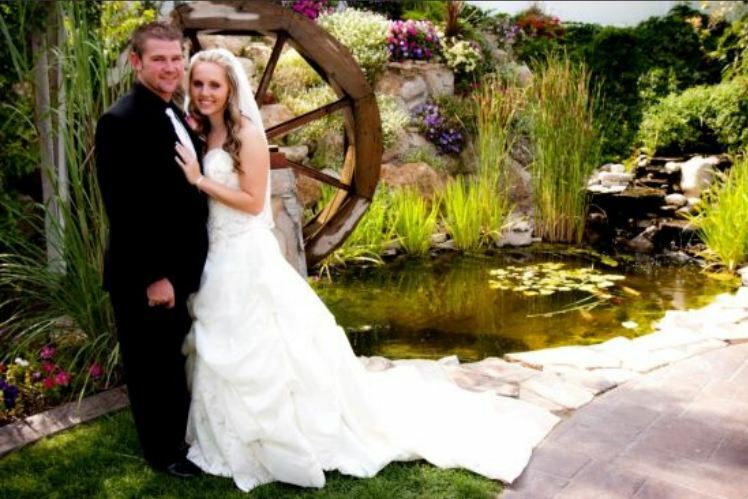 Get A FREE Brochure from "Aspen Landing"
Salt Lake’s friendliest Wedding Reception Center! Aspen Landing’s atmosphere is one of simple elegance. 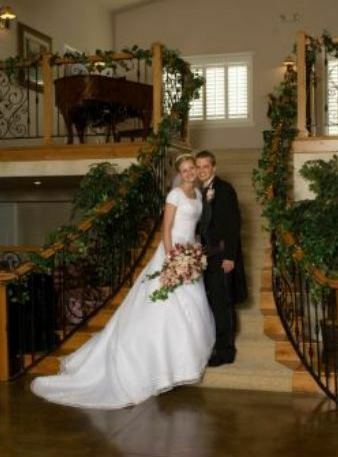 Our beautiful custom built wedding reception center includes a lush private garden area, grand staircase, baby grand piano, rustic fireplace, and separate bride’s and groom’s dressing rooms. 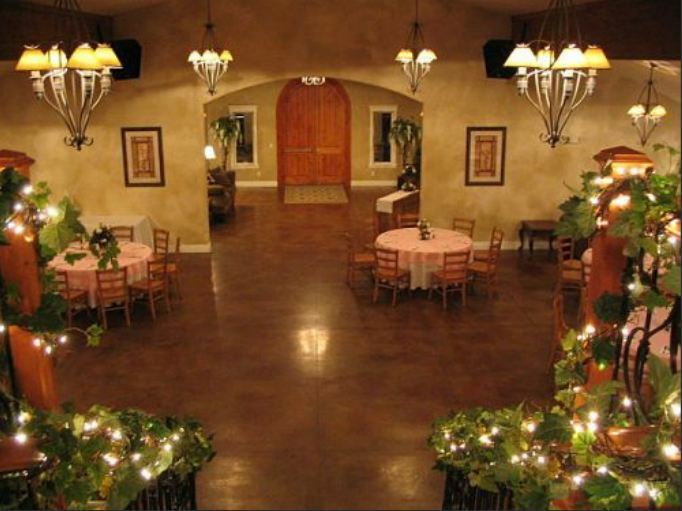 The setting is perfect for an elaborate open house wedding reception as well as intimate smaller celebrations. 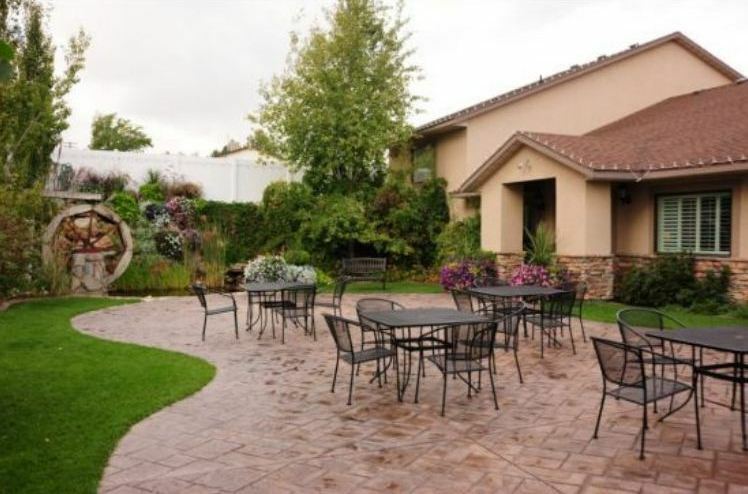 We are located in a central valley location near freeway access.Aspen Landing is committed to providing an affordable, elegant venue for your wedding day. We offer exceptional personal service and quality services for all your wedding needs. Pricing is straight forward with no minimums or hidden costs. Please mention this ad when you contact Aspen Landing Reception Center! We got married on August 13th at Aspen Landing. We have had so many compliments on our Wedding & Reception it was absolutely the Wedding of my dreams. Everything was perfect, The staff was amazing, & The garden was beautiful. My nephew said this was the funest wedding he had ever been to! Everything ran smoothly to plan and they thought of all the details so nothing was forgotten, It truly was am Amazing Day! We had our wedding here in July 2016. Ken and the wedding coordinators at Aspen Landing were an absolute joy to work with. 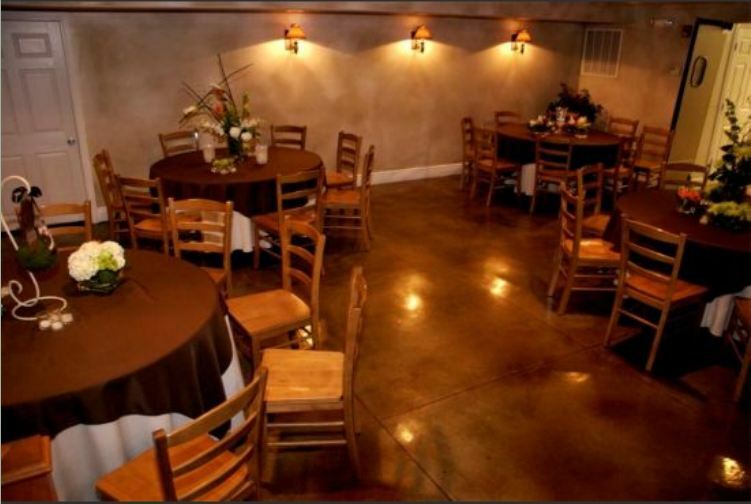 The venue is gorgeous and affordable, and the staff will above and beyond to make your dream day a reality. Aspen Landing was amazing. We had our wedding here and so many people have said how beautiful and perfect everything was, especially the venue. The grounds are beautiful. The staff is knowledgeable and helpful with every little detail. The food was wonderful. They helped us turn our wedding into the perfect day. 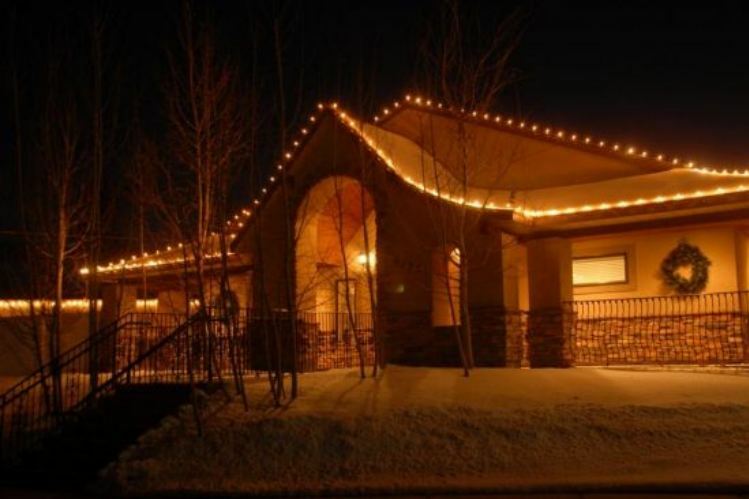 We would recommend Aspen Landing to anyone having any sort of event, especially a wedding. They were so amazing! 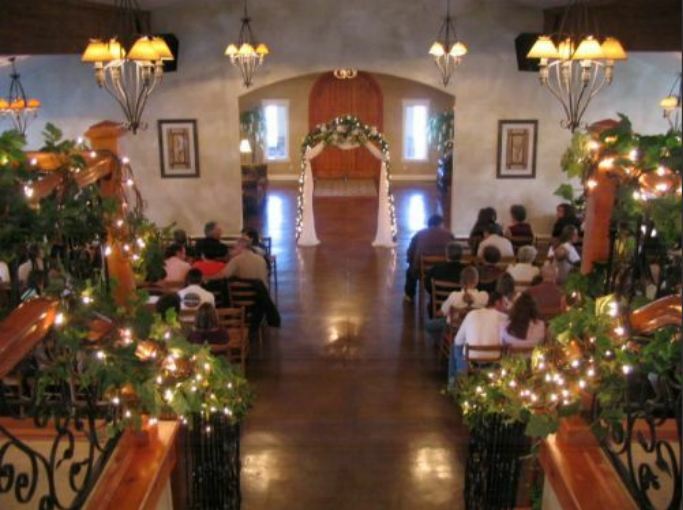 I had my wedding there and the day went so smoothly with very minimal stress. It turned out more beautiful than I could have expected! 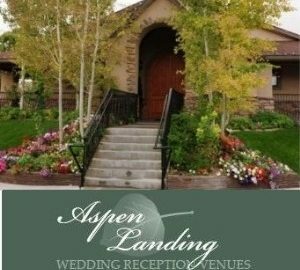 Aspen Landing makes planning your wedding easy, and is inexpensive compared to many other reception centers. They had great food, great service, and very accommodating. Thank you Aspen Landing for making our special day very memorable! Everyone involved at Aspen Landing deserves a HUGE THANK YOU! You guys made wedding planning very easy for me, you didn't hassle me or rush me. The wedding turned out beautiful, and went even better than I could've ever imagined. The décor was beautiful and the food seriously went above my expectations, everything far exceeded my expectations! Thanks so much Aspen Landing team!!! !